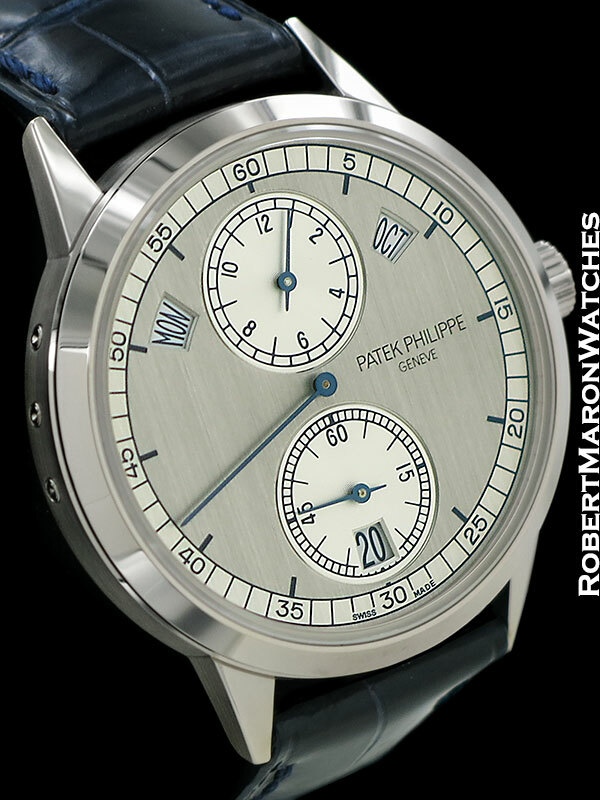 Here is a highly collectable modern Patek Philippe watch: the reference 5235G, which is Patek Philippe’s first Regulator wristwatch. It has a lot of great things going for it, but this is remarkable right off the bat. 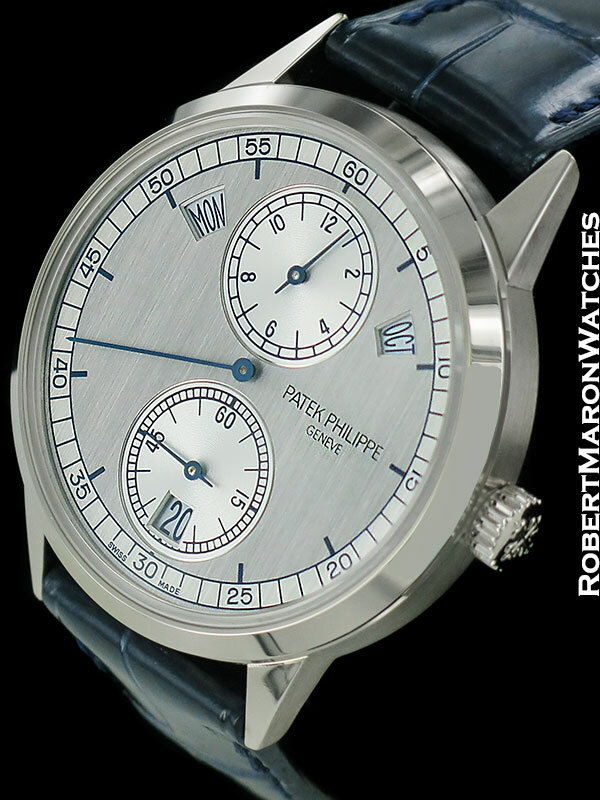 The annual calendar complication is patented by Patek Philippe, and is a shrewd innovation. The annual calendar offers 99% of the convenience of a perpetual calendar and approximately half the price. In its own right, the annual calendar has become an important complication. Patek has offered many versions by now of its annual calendar – but none are more interesting than the 5235. The regulator format displays time with an emphasis on the minutes, which is the only display originating at the center of the watch and accordingly the most legible. The regulator time format started out on clocks, and was the preferred method of reading time among watchmakers, for whom it was crucial to be able to see time down to the second in as legible manner as possible. Watchmakers would use their regulator clocks to fine-tune the timekeeping on the timepieces they were servicing and repairing. Patek, then, very much gives an approving nod to watchmakers, going back centuries, with this regulator wristwatch. 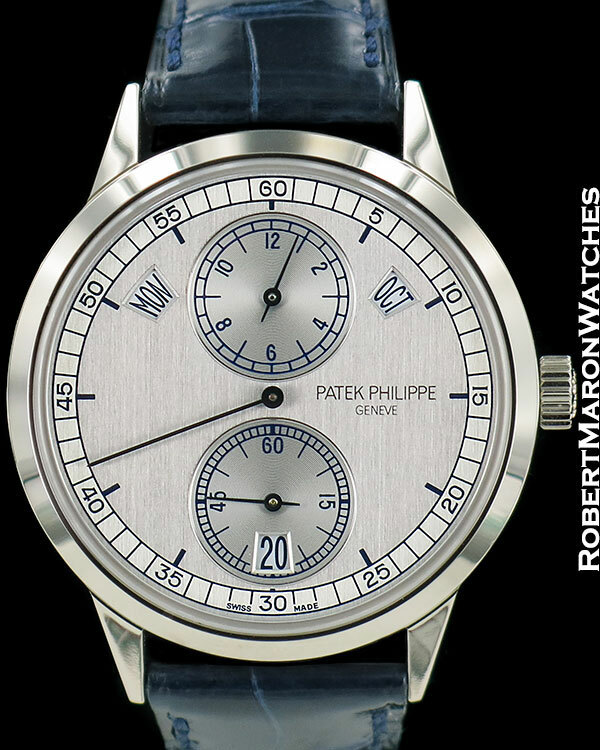 Interestingly, this watch is one of a very few Patek wristwatches with hacking seconds – adding to the theme of a regulator as being a very accurate timekeeper. The looks of this watch are killer. The two-tone grey dial with blued hands, the white gold oversized but minimalist case and the gorgeous automatic movement visible through the sapphire crystal display back. Case is 40.5mm diameter, alternates between polished and brushed surfaces and has a sapphire front display crystal. Two-tone brushed finish silver dial with hours displayed in upper subdial, minutes displayed on the center-mounted hand and seconds in the lower subdial. Day is displayed in the aperture near 10 o’clock, month near 2 o’clock and date in the bottom center of the dial. 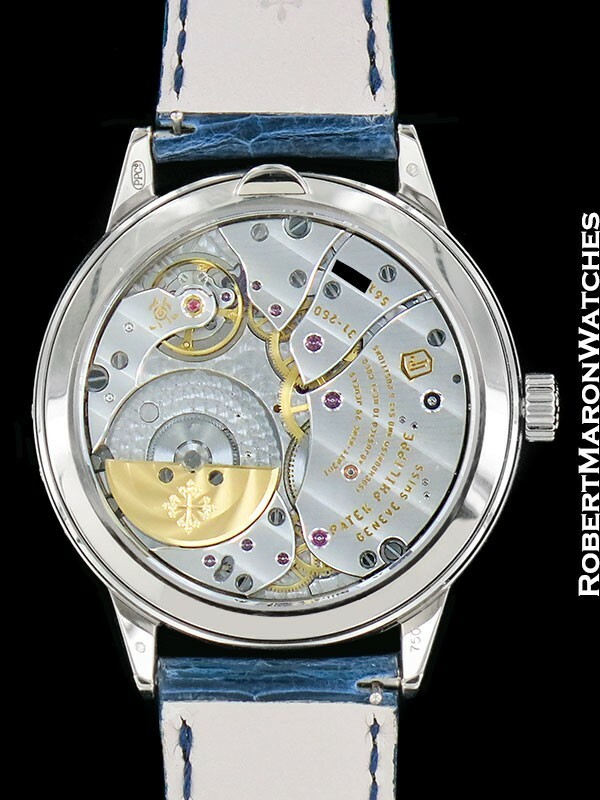 Movement is ultra-thin for an automatic movement at 5.08mm thin, and features micro-rotor, 31 jewels, 313 individual parts including Gyromax balance, Spiromax spring, and Pulsomax escapement. Movement is numbered the Caliber 31-260 REG QA with 48 hour maximum power reserve and is stamped with the Patek Philippe Seal attesting to its extraordinary quality. Strap is navy blue alligator with 18k white gold Patek buckle. Watch is factory sealed new and complete with box and papers.